In 1990 the Pantera 90 (SI) was developed from the GT5S, but was short-lived, with perhaps only 41 cars built before production ended in 1993. 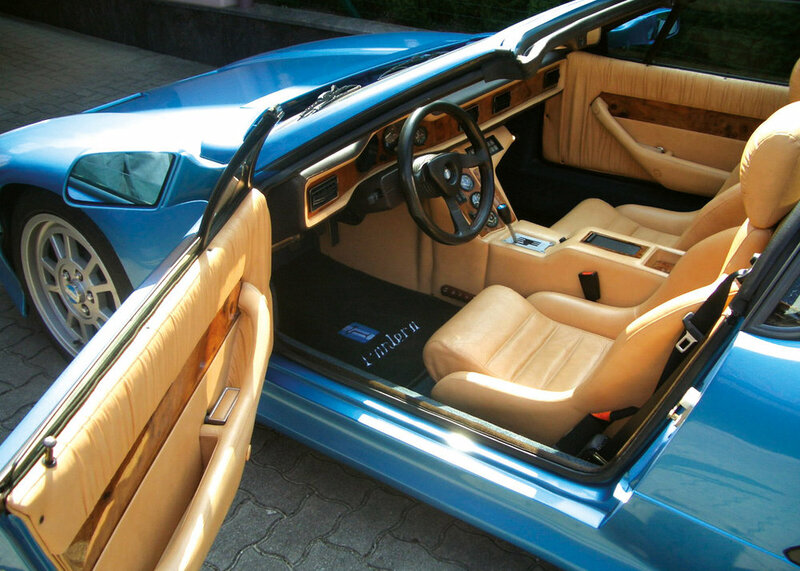 De Tomaso had engaged the talents of Italian automotive designer Marcello Gandini to modernise the Pantera’s styling. The lower body cladding was new, as were the rear aerofoil wing and the unique spoiler at the base of the windshield. The latest 17" cast alloy wheels and Michelin Z-rated tyres were specified, as were large, ventilated Brembo disc brakes. In addition to external modifications, this update was to also encompass substantial revisions to its chassis layout and mechanical specification. And so, as a progression from the incumbent monocoque chassis layout, this new and final version of the Pantera employed a largely tubular framed structure, in order to create a lighter weight and more rigid chassis. An all-new suspension was also part of the design. The majority of cars still employed the ZF 5-speed transaxle, but two of them were fitted with a Getrag 6-speed unit. The 1991 cars also marked a significant change in the engine compartment. The new model employed a modified 5.0 litre Ford V-8, a unit that traced its roots back to the same engine used in the Mangusta. With computer-controlled direct port fuel injection and the latest electronic engine management systems, as well as a fully catalysed exhaust system for cleaner exhaust emissions; the new until had still managed to maintain its deep-toned exhaust note. The aim was to make the Pantera 90 (SI) legal for the U.S. market, however, none were ever exported. The interior was, in the main, unchanged from the styling developed for the GT5-S, using the highest quality woods and leathers. Out of a total of 41 of these final-edition Panteras constructed, four were converted, under construction, to a 'targa' model featuring a removable top section. The De Tomaso Pantera 200, named after its top speed of 200 mph.